Long time readers of Got A Ukulele will know how much I think of the duo that is Chonkinfeckle. In fact anyone in the ukulele world should know Chonkinfeckle! It was therefore a massive shock to hear that ukulele pal, and one half of the Chonks, Les Hilton suffered a stroke just before Christmas that, despite making progress, has currently left him with mobility issues leaving him unable to play music, work or drive. Considering music IS his means of earning a wage, he and his family are understandably concerned about what happens whilst he gets on the road to recovery. Ukulele players tend to stick together though, and a bunch of them came up with the idea of a festival day to raise funds for the Hilton family. 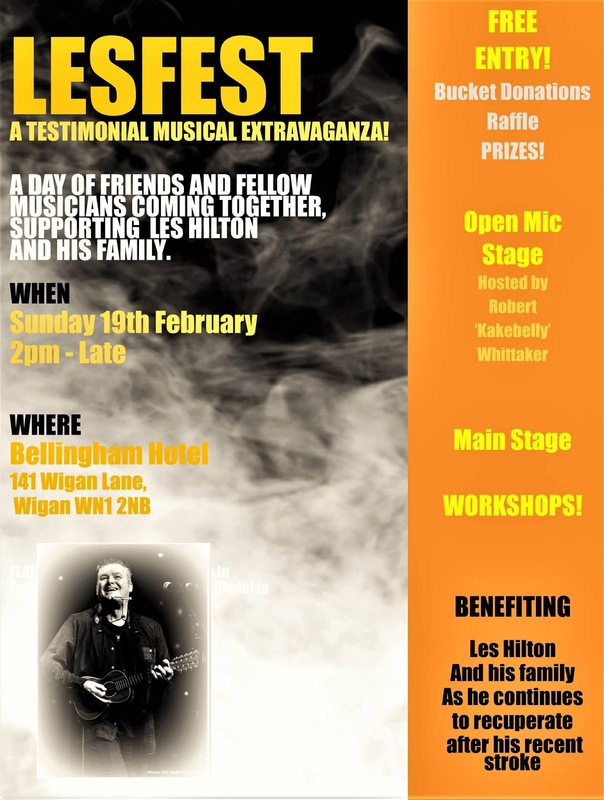 It takes place at the Bellingham Hotel, Wigan, Lancashire on 19 February 2017. It's free to attend, but there will be lots of money raising opportunities on the day, including a raffle. 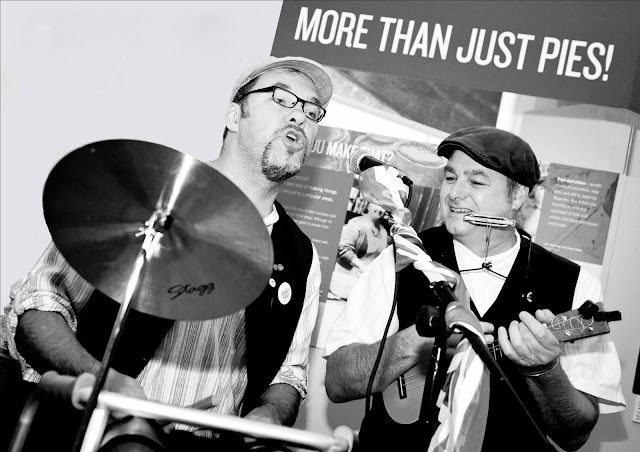 As part of that, some top ukulele performers are appearing at a concert on the day including Phil Doleman and Ian Emmerson, Peter Moss, Michael Adcock, The Quaintest Show On Earth, AD Cooke, Ric McCormick and many more. There will also be an open mic stage and workshops too! It all starts at 2pm on the 19th and carries on until late. Tim and Les mean a lot to Got A Ukulele and me personally - in fact they were early supporters of mine long before the ukulele thing got quite so big as it has become these days and I consider them good friends. I've even played on stage with the pair of them on more than one occasion! (On one occasion that they may wish to forget!). If you are within reach of the north west UK on the day, I'd encourage you to do the same! Les is one of the good guys. Apparently one coming later today John! John - updated the post now as there is a Just Giving page!